We’re pleased to update you with two success stories from our War Orphans Education Project. Two girls, aided by Orphans International have now progressed to University! All credit to them for working so hard and a massive thank-you to everyone who supported them through Orphans International. Your donations really do change lives. She comes from a family of 6 children Aimee being number 5. Her father was killed in the War in 1996. Her mother Kidede lives in the High Plateau of South Kivu Province. Orphans Internationals War Orphans Education Project has helped transform her life by providing her with Primary and Secondary Education. 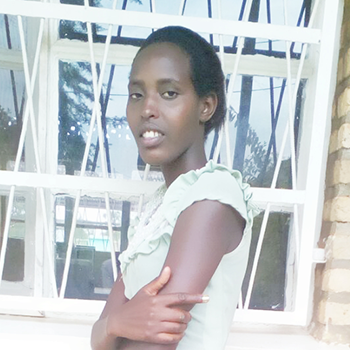 Her grades were good enough that she was able to go to University in Rwanda where she will graduate this year 2017. She is in the Faculty of Media, Arts and Technology and is studying PR and Office Management. Kidede, Aimee’s mother, sends us many many thanks for changing the life of her daughter. Esperance the eldest of 4 children comes from a very poor family where her mother has been left a widow. They have struggled to provide food for their family for a long time and there was little hope that any of the children would be able to attend school. However through Oi’s Education Project she has finished her schooling and achieved an extremely high grade. 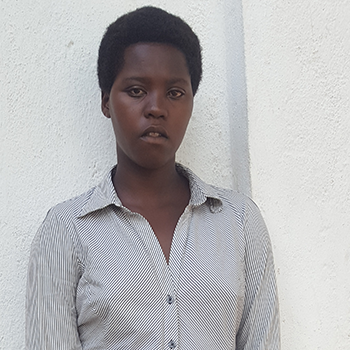 The family have managed to secure a small amount of finance to allow her to start her first years Nursing Qualification in South Kivu a great achievement. Thank you to everyone that Supports our work in DRC.